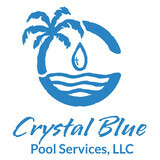 We offer everything you need for your pool maintenance and service, including Spring Openings, Autumn Closings, Weekly, By-weekly Service, Equipment Repair, Heater/Filter/Pump Installation, Safety Pool Covers, Computerized Systems, Maintenance Chemicals, Renovations, and more. Northside Pool Service purchases parts, equipment and chemicals from reputable, established manufacturers and distributors to ensure that our clients receive quality parts and services. 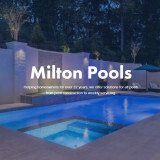 This winning combination of quality products and professional service allows us to offer our clients a hassle free, enjoyable pool ownership experience. Northside pool company is licensed and fully insured and stands behind everything it does If you are looking for a swimming pool service company with a friendly knowledgeable staff call us and we will take care of all your pool maintenance, service or spa needs. 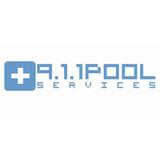 Based out of Atlanta, Georgia, Sunny Pools and Service is dedicated to providing quality service and support. Different pools and equipment pads require different attention and service. To ensure that all of our customers are getting the right care for their specific needs, we work with clients to develop a pool care plan. Whether it's weekly service or just a one-time fix, we've got the solution. No matter the size or shape of your pool, we'll keep it Olympic ready and looking beautiful year round. Anyone can service a swimming pool, but cleaning and maintaining the pools effectively and safely is anything but easy. Pool servicing is a science that involves learning and hands-on practice. That practice is then put into our work for each customer we serve. 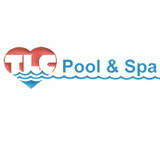 What should I look for when hiring a pool cleaning service in Sandy Springs, GA? Pools and hot tubs are big investments, so you’ll want to make sure to protect them by hiring an expert who cares about them just as much as you do. Check that the Sandy Springs swimming pool maintenance service you are interested in actually specializes in the type of pool you have — chlorine and salt water pools have very different needs, and in-ground versus above-ground pools will require different upkeep and repair methods. Also, know who will be doing the repair or service; if it’s one of the larger swimming pool services in Sandy Springs, GA, request that you get same person every time, otherwise you could get inconsistency in treatments. Good Sandy Springs pool professionals will keep a consistent schedule and log everything they do so that it can be referenced in the event that you switch companies or something does go wrong. Like any other professional, look for local pool cleaning companies near you with plenty of good reviews and relevant experience. 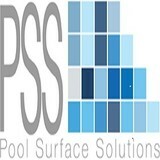 Find a Sandy Springs, GA swimming pool repair and maintenance specialist on Houzz. Narrow your search in the Professionals section of the website to spa and pool maintenance companies in Sandy Springs, GA and read reviews and ratings for pros in your area.